The New York Deaf-Blind Collaborative (NYDBC) is a five-year federally funded project which provides technical assistance — a system of program development and support–to improve services for children and youth who are deaf-blind (ages 0-21). The NYDBC is housed at Queens College in Flushing, New York, and is funded by the United States Department of Education, Office of Special Education Programs (OSEP). The NYDBC maintains a child count of children and youth who are deaf-blind, which allows us to conduct effective outreach and support parents and professionals. Provide accurate and current child count data. NYDBC is a statewide project that provides technical assistance to professionals and families on behalf of children and young adults with combined hearing and vision loss between the ages of 0–21. 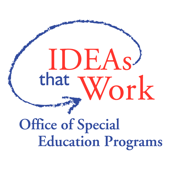 The project is funded by the Office of Special Education Programs (OSEP) through the CUNY Research Foundation and is housed at Queens College in Flushing, NY. Any and all interested parties in New York State can access NYDBC, free of charge, as a resource on deaf-blindness. Professionals: NYDBC provides technical assistance to educators, administrators and related service providers through a multitiered TA delivery model (see Services). The type and level of intensity of TA will vary significantly depending on the needs of the professional(s) and their desired level of commitment to the process. Families: NYDBC provides information, support, resources, training, networking opportunities, and family-to-family linkages to family members of children who are deaf-blind with the expressed goal of increasing a family’s knowledge of and involvement in their child’s education. Consumers: NYDBC acts as a resource to assist individuals who are deaf-blind in being connected to the appropriate resources within their local community. Peer-to-peer connections and linkages to adult service agencies, for example, are critical, particularly for young adults who are deaf-blind. The New York Deaf-Blind Collaborative (NYDBC) believes that all individuals, including those who are deaf-blind, have the right to lead a full and rewarding life. All individuals should have access to the necessary skills and supports that provide them with the opportunity to do so. The mission of the New York Deaf-Blind Collaborative (NYDBC) is to achieve measurable improvements in the quality of life for deaf-blind children and youth throughout New York State. NYDBC will do so through the provision of needs-based technical assistance, training, and support to key agencies, personnel, and families. These initiatives will lead to an enhanced service delivery system, one providing quality, person-centered services responsive to the unique needs of children and youth who are deaf-blind. The NYDBC staff is made up of six key personnel: Project Director, Project Coordinator, Family Specialist, Outreach Coordinator, Project Assistant, and Principal Investigator. Click here to meet the staff. With more than 85 years of collective experience in deaf-blindness, the core staff has a range of knowledge and points of view concerning the needs of children and youth with combined hearing and vision loss.